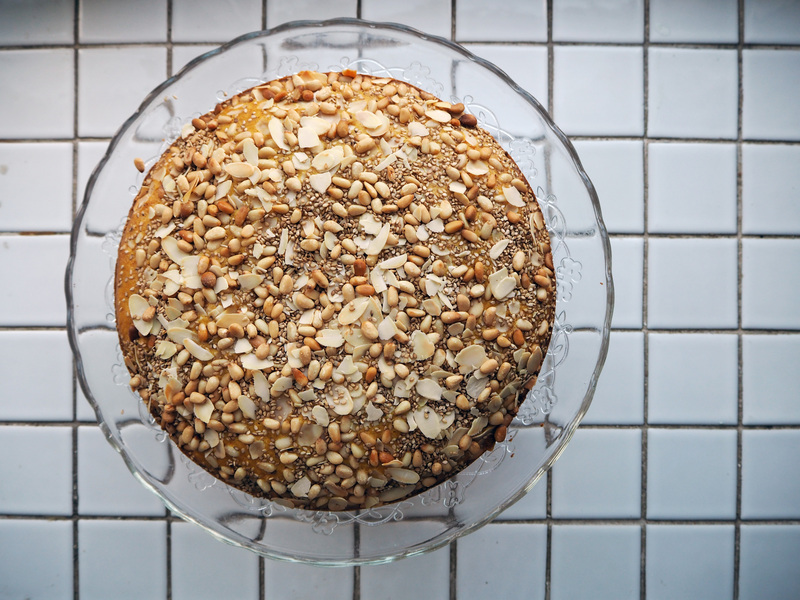 The first time I made this cake, I did it as a very regular cake, with normal (cow) milk. As I was making it, I thought how easy it would actually be to convert it to a vegan cake. So the next time, I used almond milk and it was the same delicious cake really! 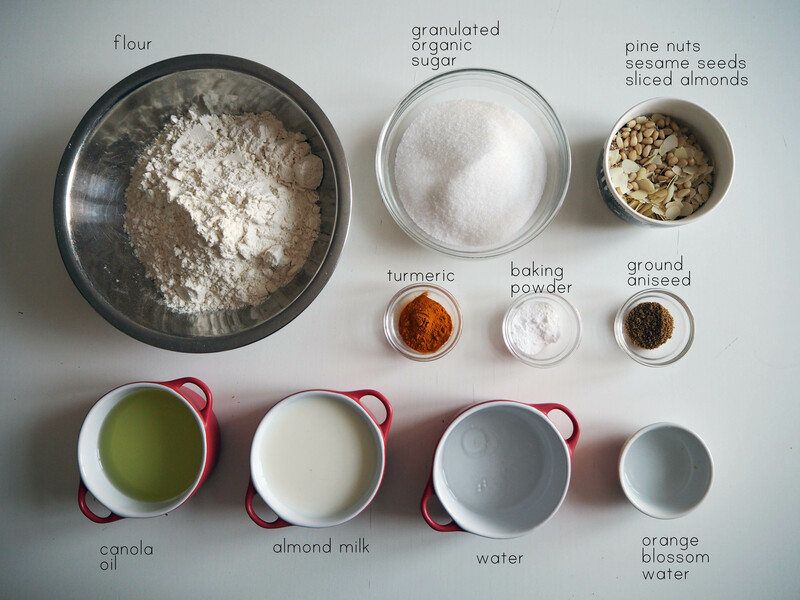 Therefore, here you are, for this monday, I am presenting you the vegan cake! Turmeric is a relatively new spice for me, at least as a user. And even when I used it a few times, it was mostly in a soup or another salty dish. 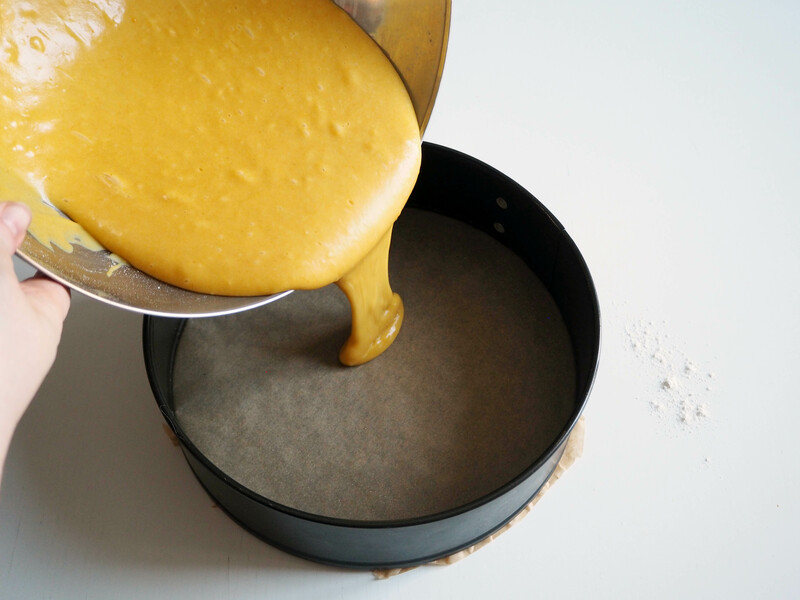 Then one day I saw a blogpost giving the recipe for “golden milk” which had turmeric in it (hence the colour “golden”). After that I started to think about other uses of this spice, which gives a lovely colour and has a quite soft taste. 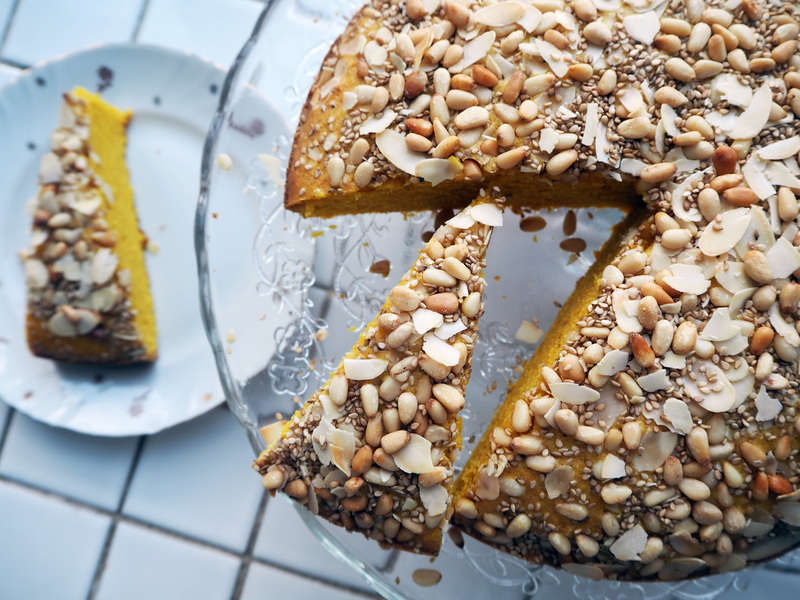 So, when I saw a recipe of a turmeric cake which was clearly inspired by Lebanese semolina and turmeric cake “sfouf”, I did my own little twists and turns with measurements and some of the ingredients, like adding orange blossom water, and ended up with this lovely yellow cake. 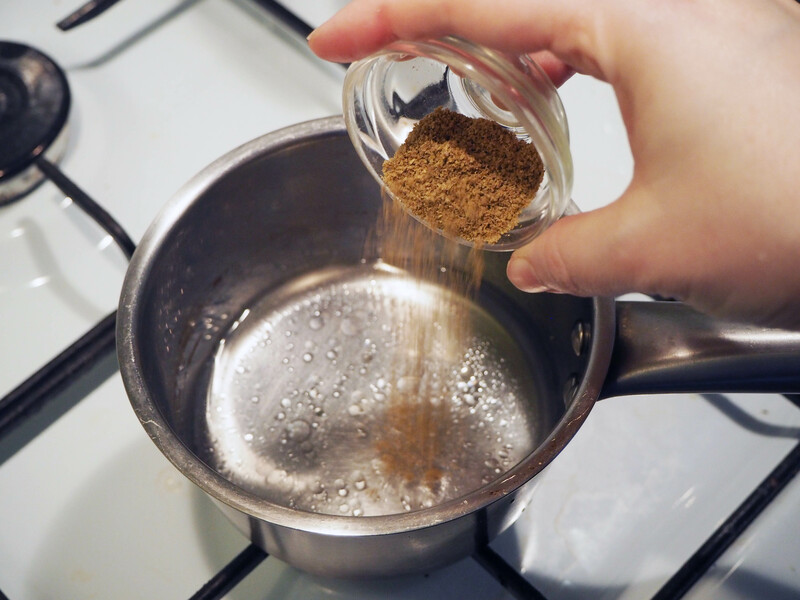 Aniseed, though… Well, I have mixed feelings about it. 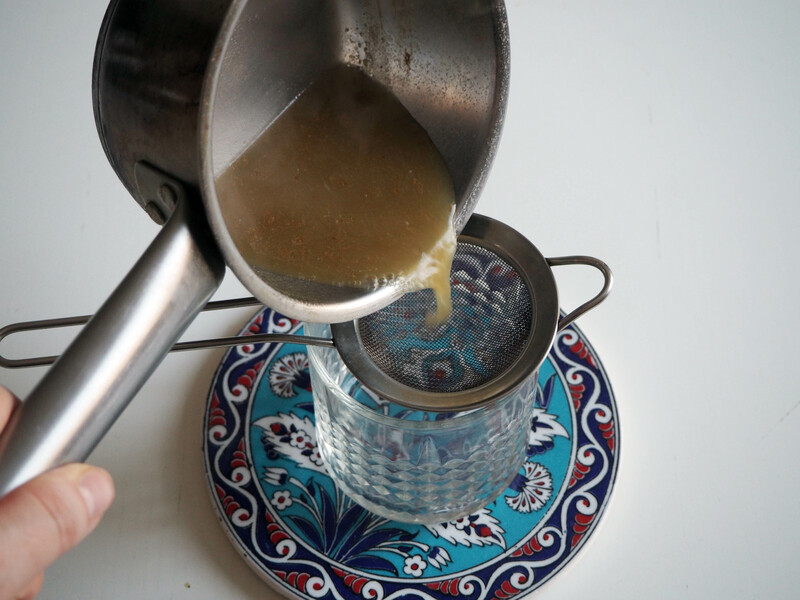 The one thing I love that has aniseed in it is raki, the Turkish alcoholic drink (ahhh I would have loved to have a glass right now!). Otherwise I am not the biggest fan of aniseed as it has too strong flavour. 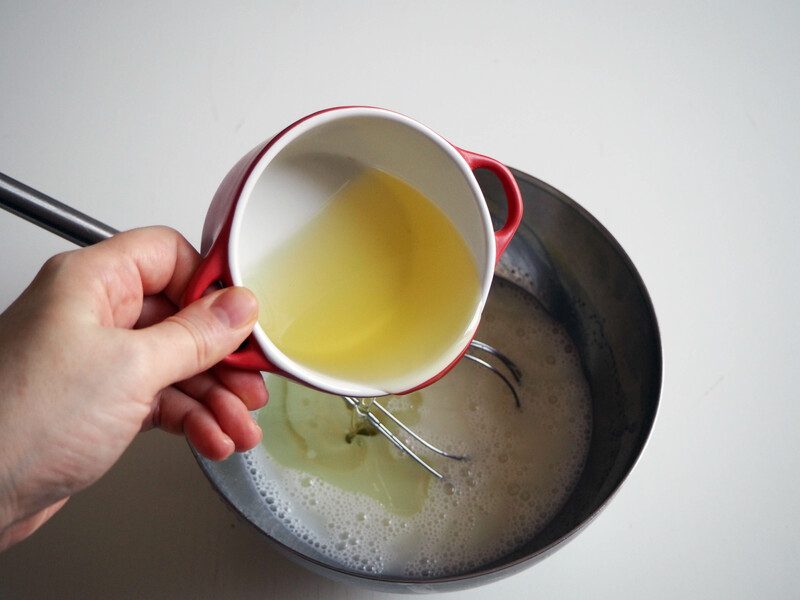 In this cake, however, the ground aniseed is boiled in water and is then strained, leaving just aniseed flavoured water as the cake’s ingredient. 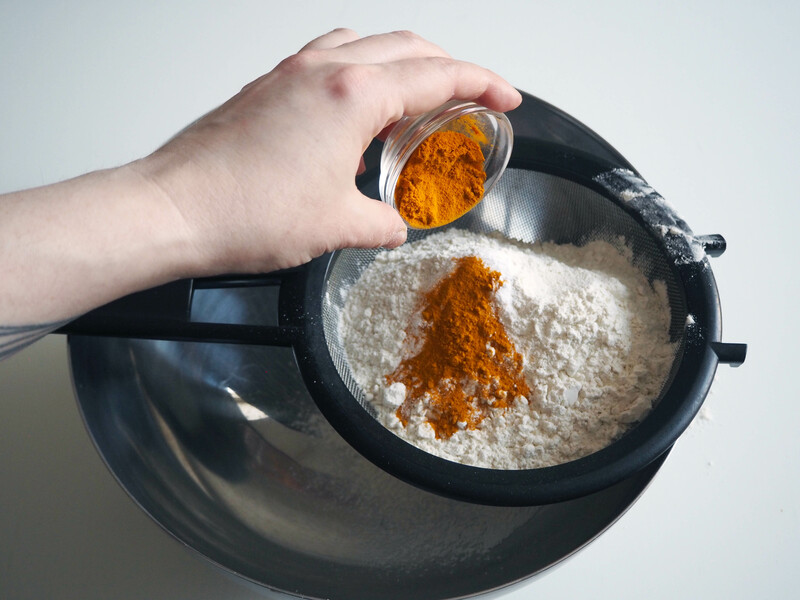 Therefore it gets milder and actually, together with turmeric, it turns out to be a great combo. 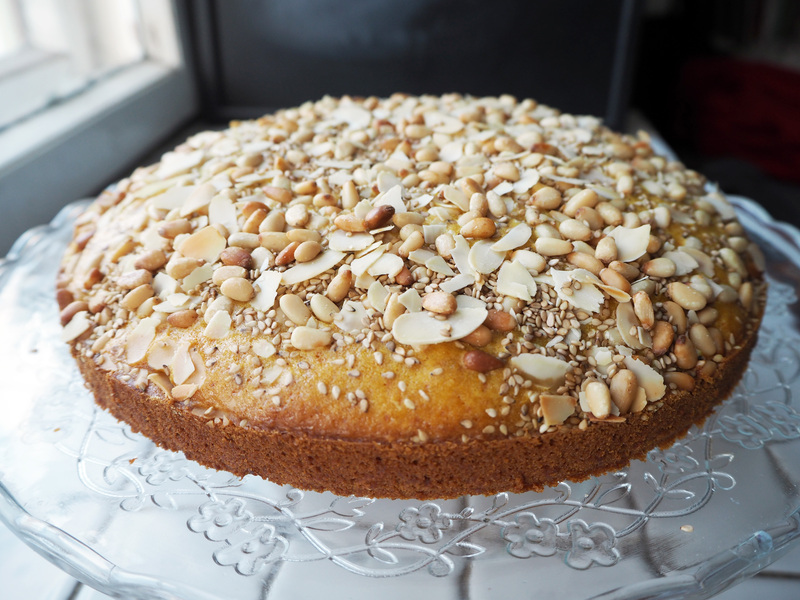 The Lebanese cake sfouf, and the original version of this cake, only uses pine nuts for decoration on top. 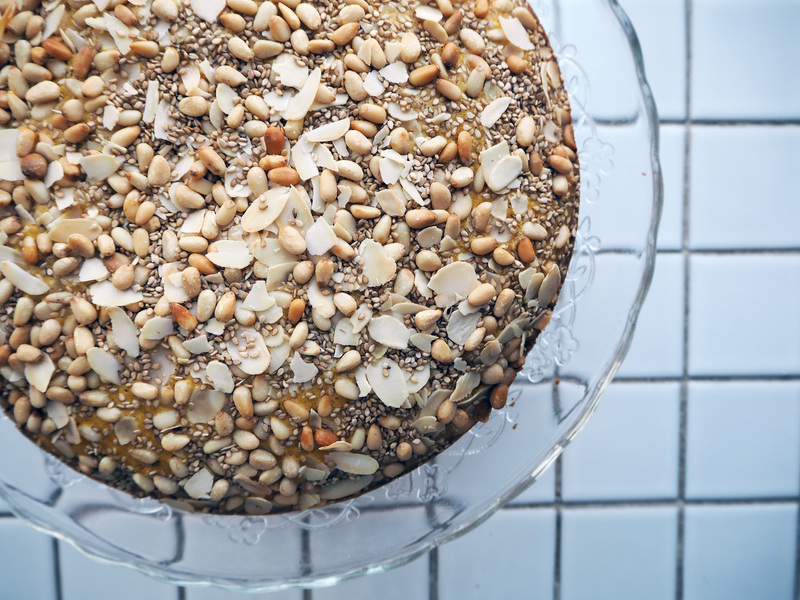 However, I wanted to make it really rich and festive on top, therefore I also added some sliced almonds and sesame seeds. 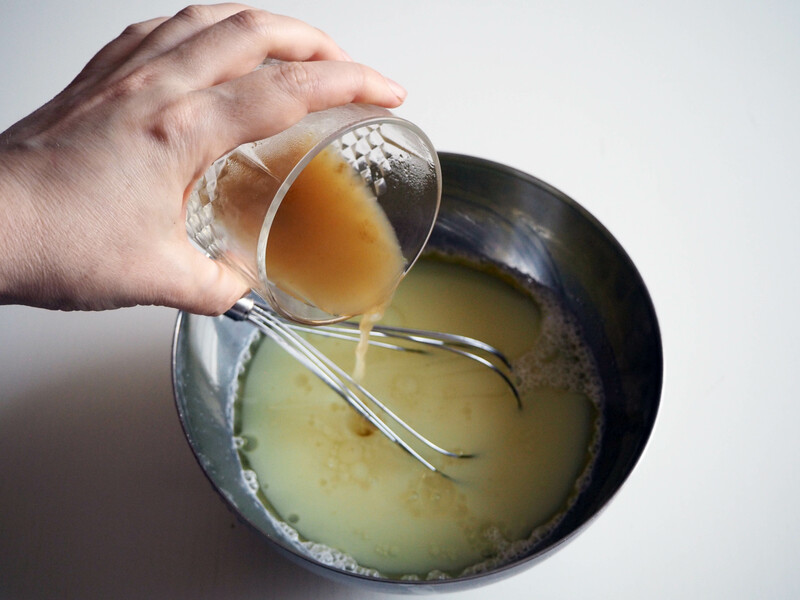 I think this mixture added lot more richness to the overall taste, and yet you can still get the distinct taste of the cake’s main ingredients. I took the non-vegan first version of this cake to one of my regular “taster”s, the service design company Hellon, and I’ve heard that they liked it a lot and it passed the test. The second version, this vegan one, I just shared with a friend who came for afternoon tea one day and she liked it a lot too. So yes, whether you want to keep it vegan or not, this is a great companion to fresh tea or coffee. Enjoy! *If you don’t need to make it vegan, you can use same amount of cow milk. **You can also use 80 gr of only one of these, or two of them, instead of using all three. 1. Preheat the oven to 180C. 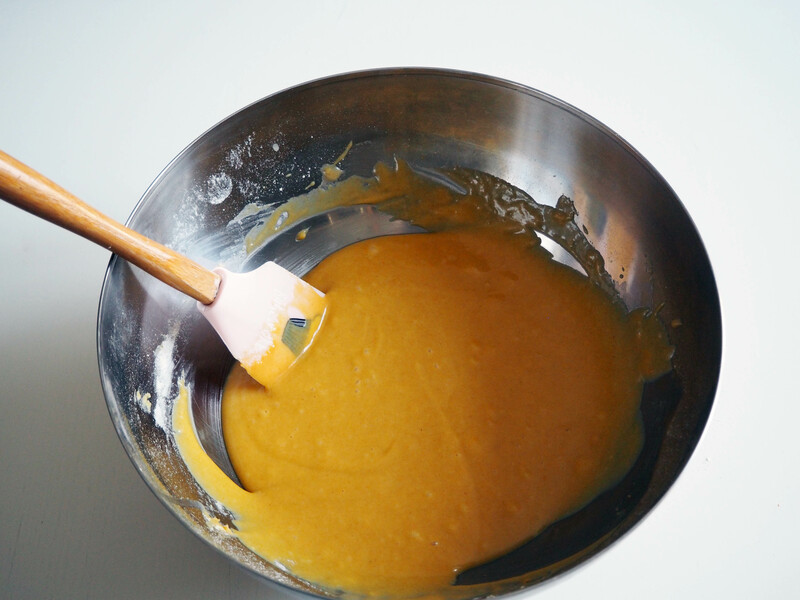 Grease your cake pan and cover the bottom with baking paper. 2. 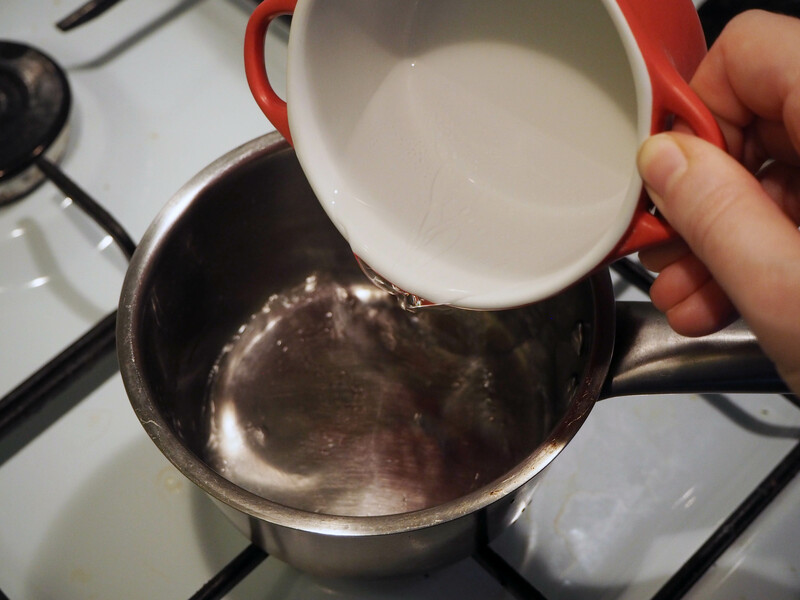 Put water and ground aniseed in a small saucepan. 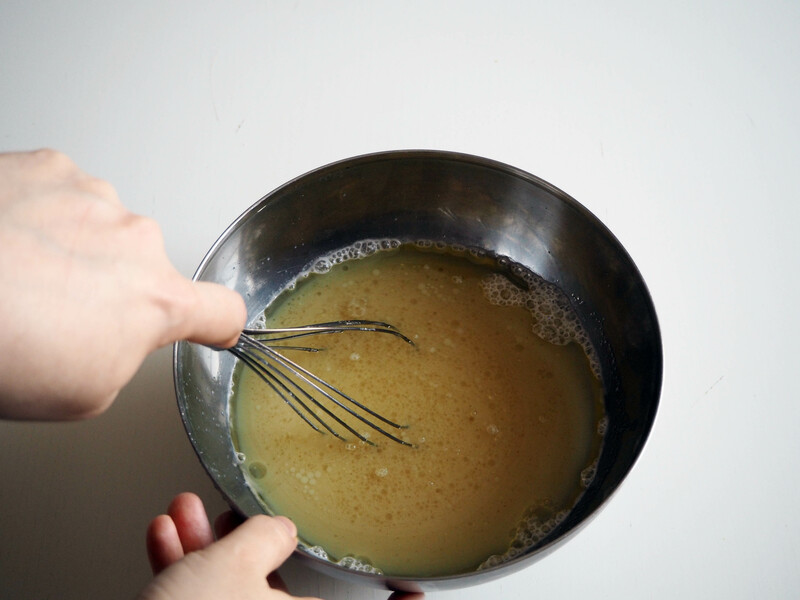 Whisk a little and warm it until it gets boiling. 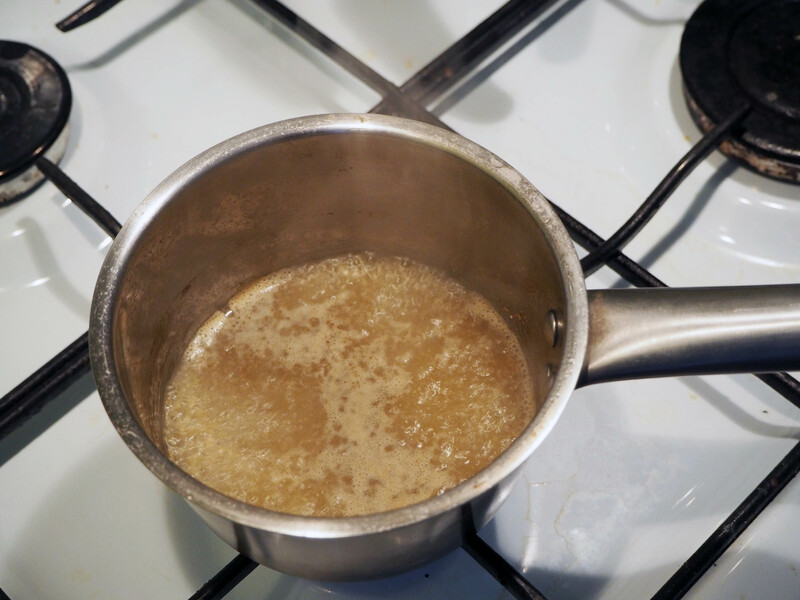 Keep it boiling for 2 minutes. 3. 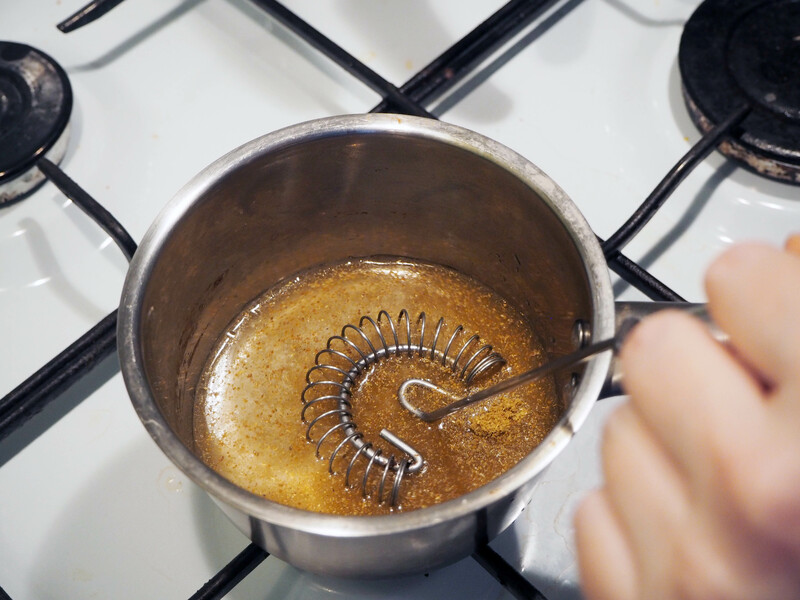 Strain the water with aniseed and discard the ground aniseed left on the strainer. Let the water cool down for about 10 minutes. 4. 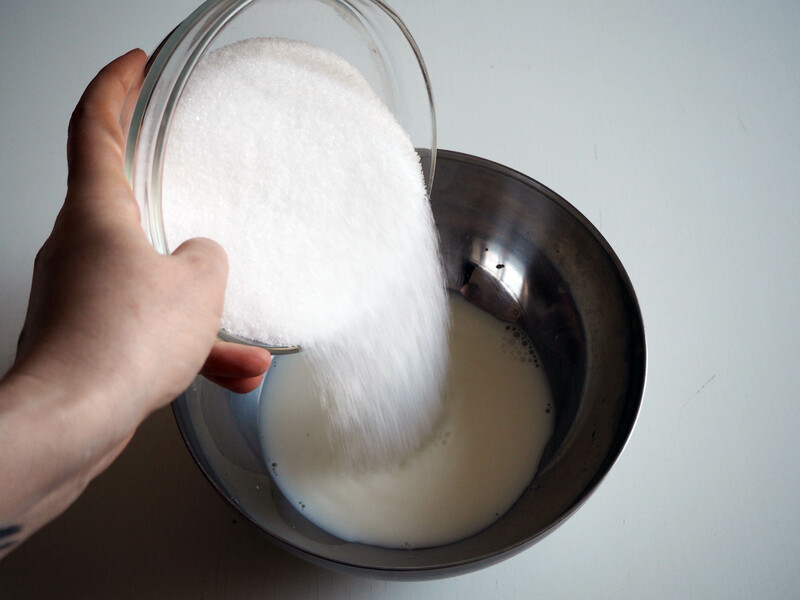 In a mixing bowl, put non-dairy milk and sugar and whisk well until sugar dissolves. 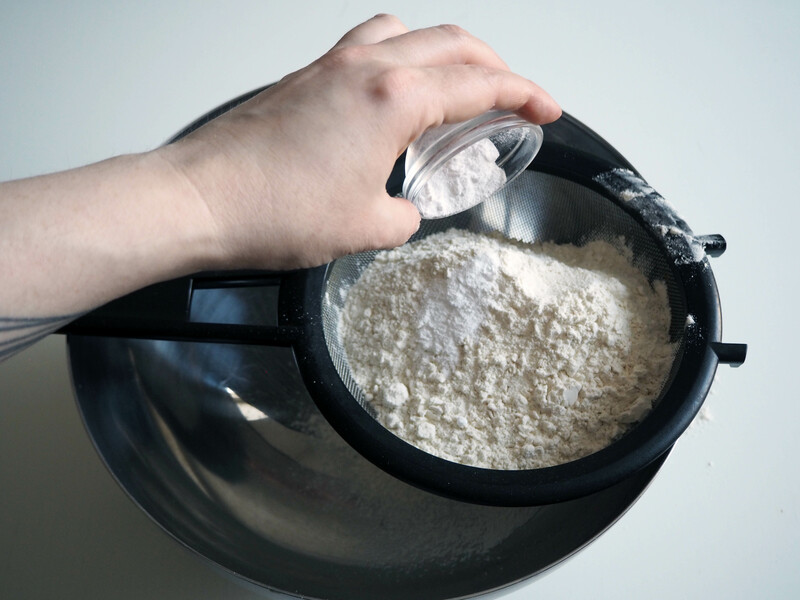 You can use electric mixer but I just did it by hand. 5. 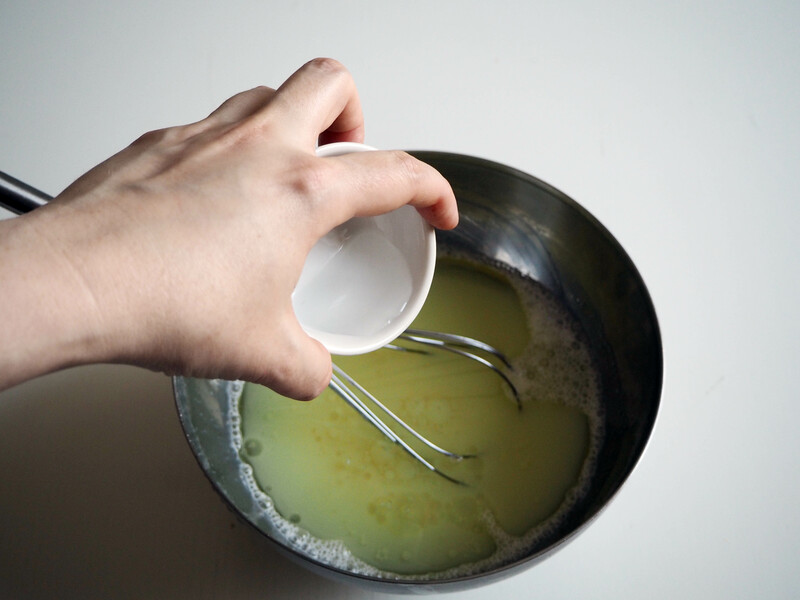 Add canola oil, orange blossom water and aniseed water and continue whisking until you get a smooth mixture. 6. 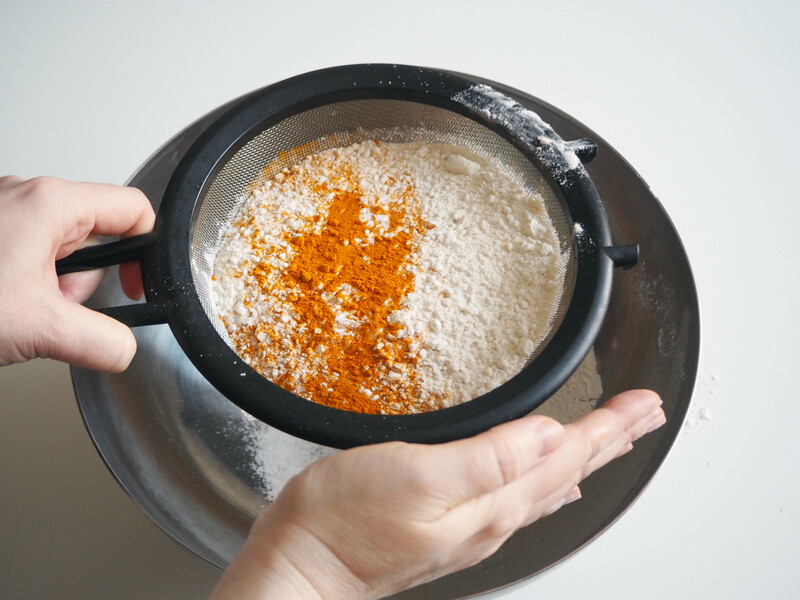 In another big mixing bowl, sift flour, baking powder and turmeric. 7. 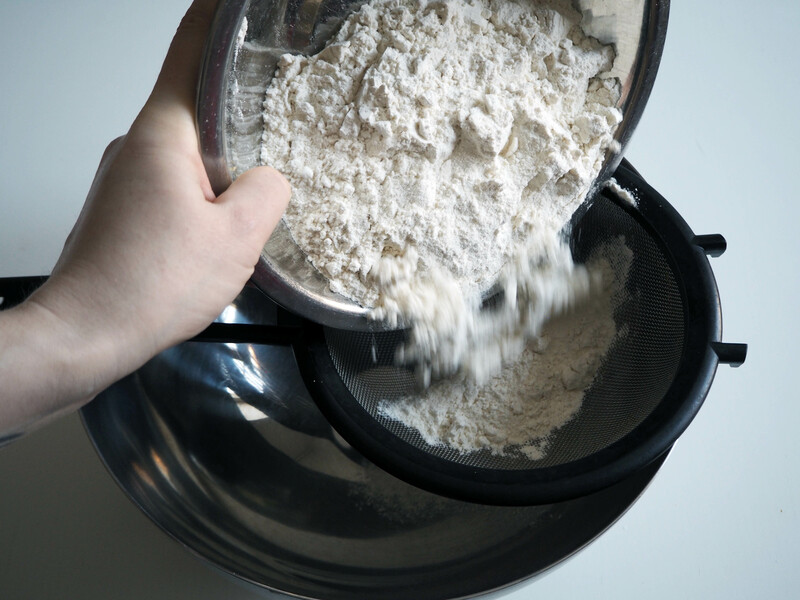 Add liquid ingredients to flour mixture and fold until all dry ingredients are mixed well with wet ones. 8. 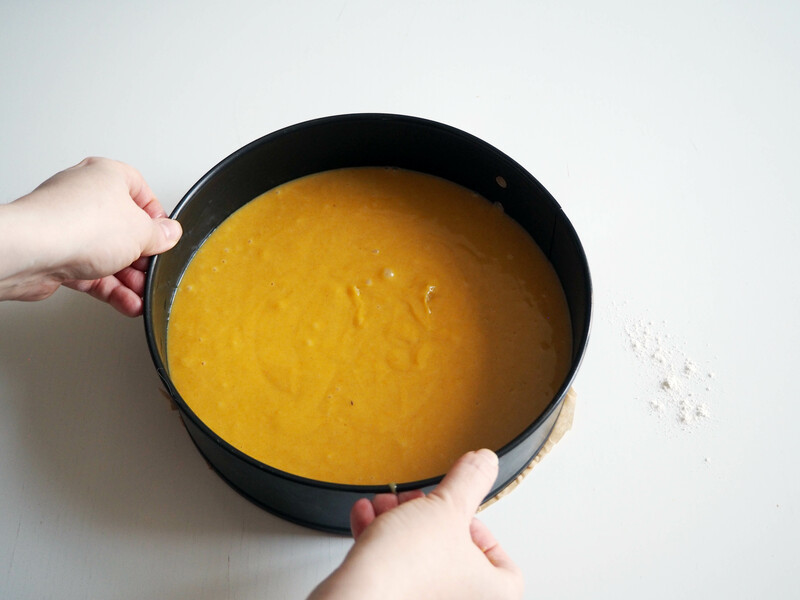 Pour cake batter into the prepared cake pan. 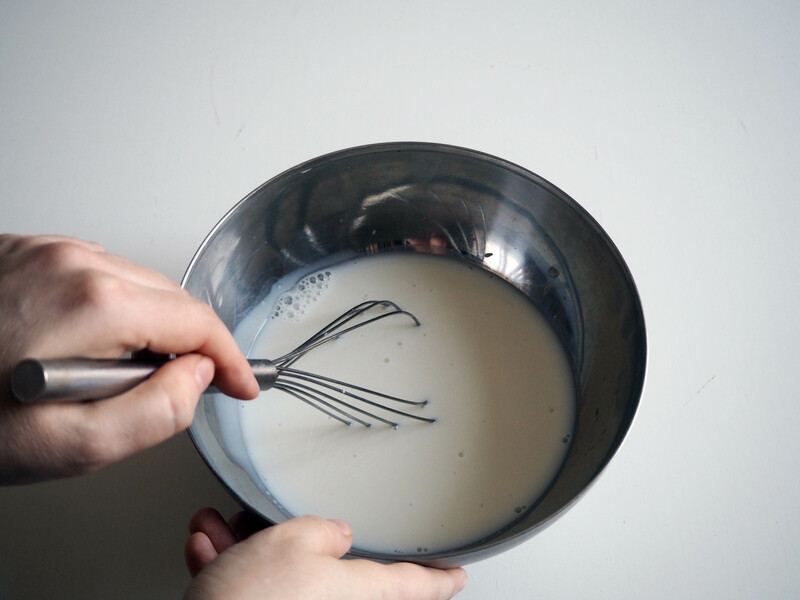 Knock the cake pan a few times on the counter to get the air bubbles out. 9. 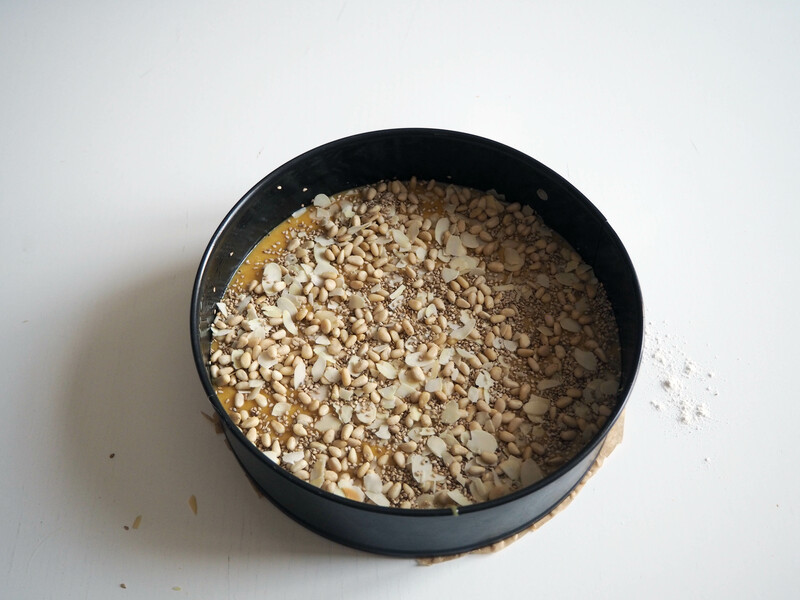 Spread the nut/seed mixture on top of the cake, cover the whole surface. Put the cake in the oven, in medium rack and bake for 45 to 50 minutes, until a toothpick inserted in the middle comes out clean. 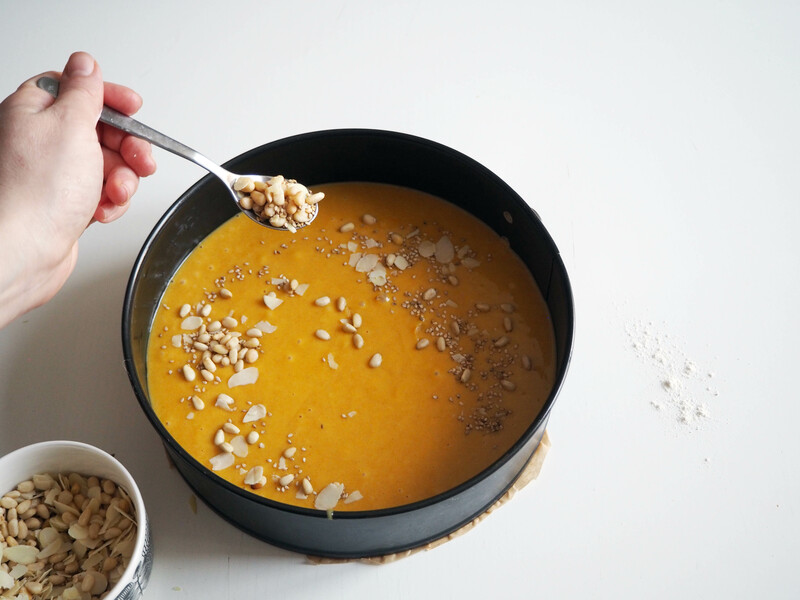 Once baked and out of the oven, let it cool for 10 to 15 minutes before taking out of the cake pan and about 30 minutes more after that, before serving. Enjoy with fresh tea or coffee! Would this work with some amount of the flour (1/4? )replaced by almond flour, do you think? I think it might be a bit challenging. 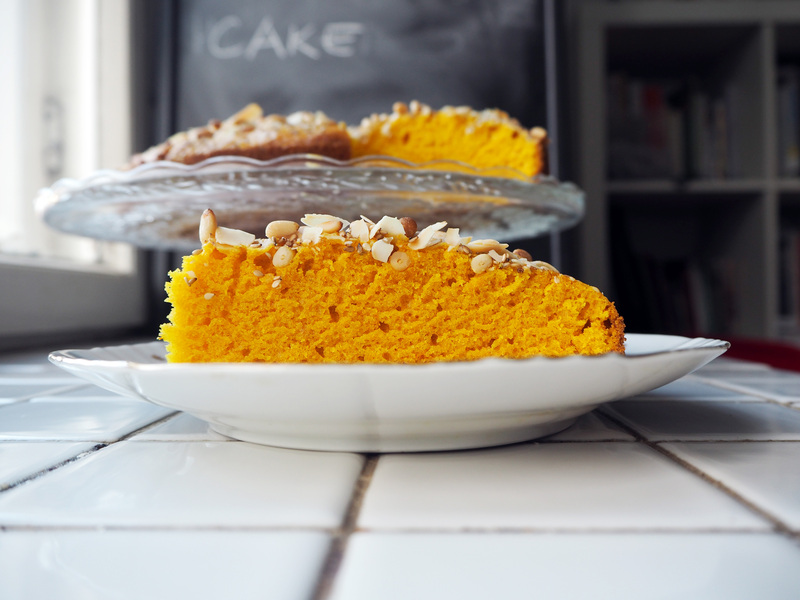 The cake benefits a lot from the gluten in the regular flour. 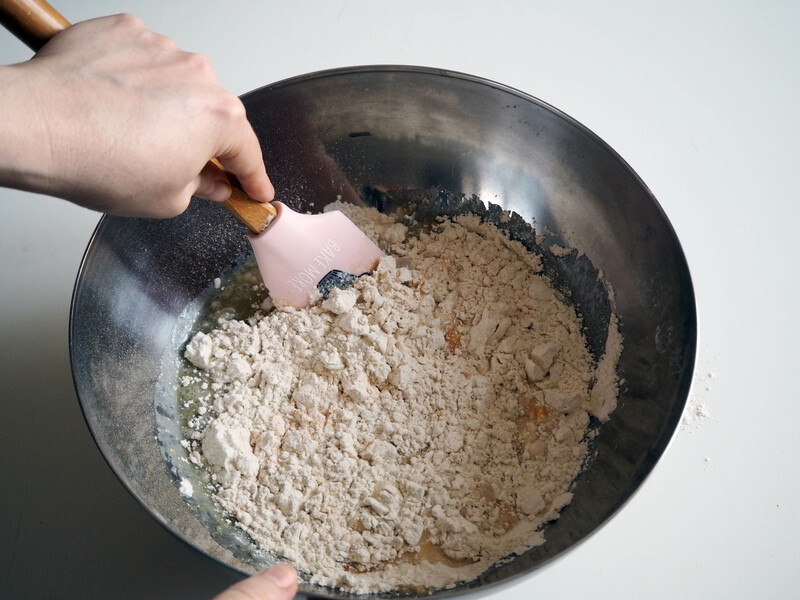 Almond flour might cause a bit of crumbling and not the same structure. 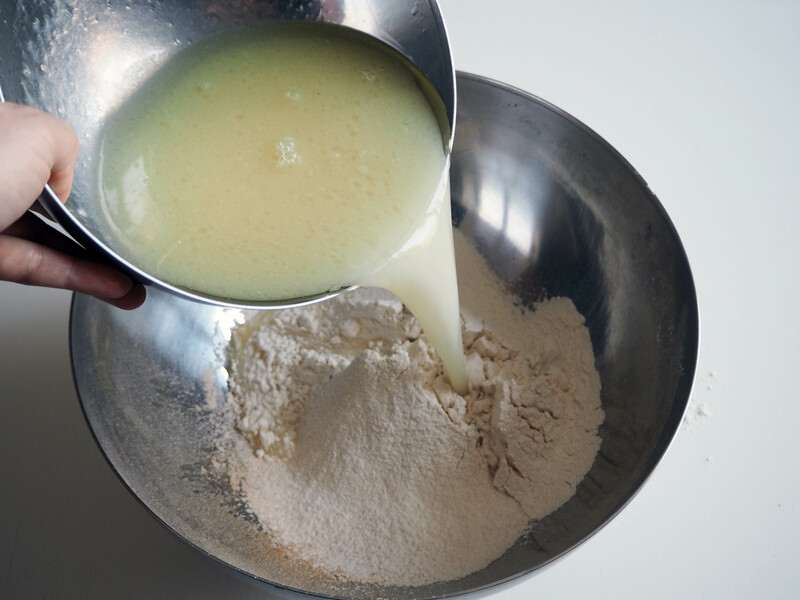 Also, because of different “liquid absorbing” qualities of almond and regular flour, you might need to adjust the amount of liquid (mostly non-dairy milk) in the recipe.